In the webinar, the instructor throws some light on the difference between continuous service improvement and continual service improvement. Deming cycle is one of the quality methods, and in a nutshell it means to plan, do, check and act. 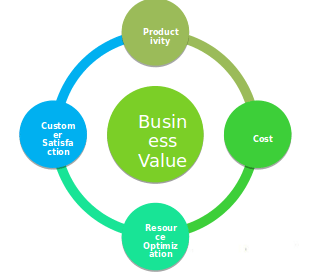 Moreover, as a part of continual service improvement, lean, agile or six sigma is used to execute business value. Whether it is a small, medium or big organization, the focus always lies in delivering business value. In order to improve the productivity of your employees, or optimizing cost and resources or if you’re also looking to improve customer satisfaction, certain frameworks are required in order for the organization to function efficiently. Every organization has a goal and to reach these goals, they adopt a certain approach. From the company’s vision to its processes and metrics, every company defines its approach. Corollary A: If you measure it, you better want it. Corollary B: Don’t measure it, if you don’t need it. Corollary C: Be in control. How is ITIL and CSI co related? ITIL has got 5 core volumes and continual service improvement is one of the core volume. When you roll out new services, you come up the architecture, processes, models etc and then the service is transitioned. ITIL has service transition where you test, build and deploy. 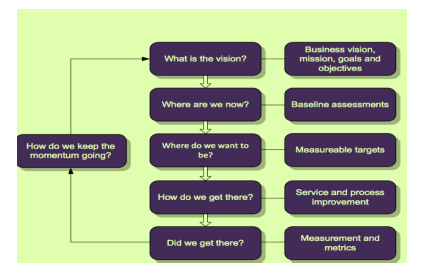 Continual service improvement focuses on improving aspects on strategy level, design level, operation level. Hence. Continual service imrrovement encompasses all the core volumes. Got more questions for us? Please mention them in the comments section and we will get back to you.